Pigma, the first ink to combine pigments and water. Thanks to its fine point, this pen makes it possible to make technical and artistic drawings. The ink does not smear through the paper. The Pigma ink is permanent, stable and resistant to water and lightfast. Allows to write on virtually any porous surface, specially adapted to use with tracing paper. 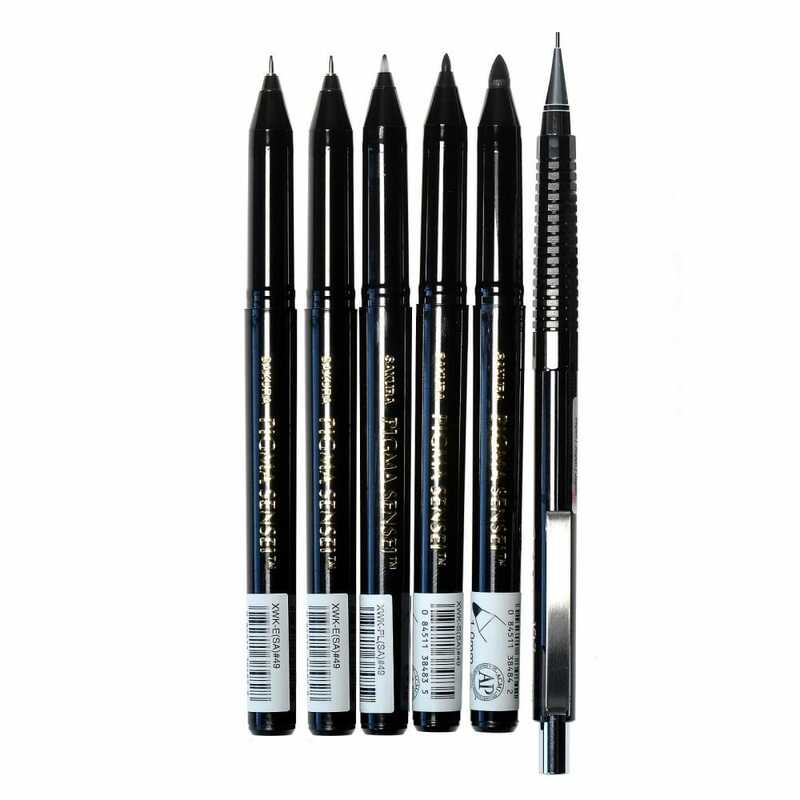 The manga set is a complete set of 3 x Pigma Micron pens 01, 03 and 05 black, 1 x Pigma Graphic pen, 1 x Brush pen and 1 x Technical pencil 0.7 mm. I purchased this as they come with a mechanical pencil. I wasn't sure if we make use of all of them at first, but as it turned out these are better than Microns fineliners pack of 6 as they come with 3 pigma microns, the pigma brush, pigma graphic and a mechanical pen. They are at incredible value and fantastic quality. My daughter loves drawing with them before she uses copic markers.